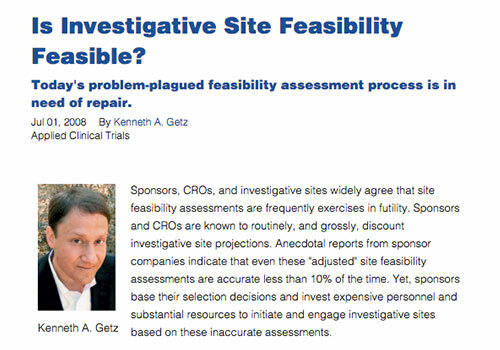 Is Investigative Site Feasibility Feasible? The traditional problem-plagued feasibility assessment process is in need of repair. Sponsors, CROs and investigative sites widely agree that site feasibility assessments are frequently exercises in futility. Sponsors and CROs are known to routinely, and grossly, discount investigative site projections. Yet, sponsors base their selection decisions and invest expensive personnel and substantial resources to initiate and engage investigative sites based on these inaccurate assessments. Read the full article here.